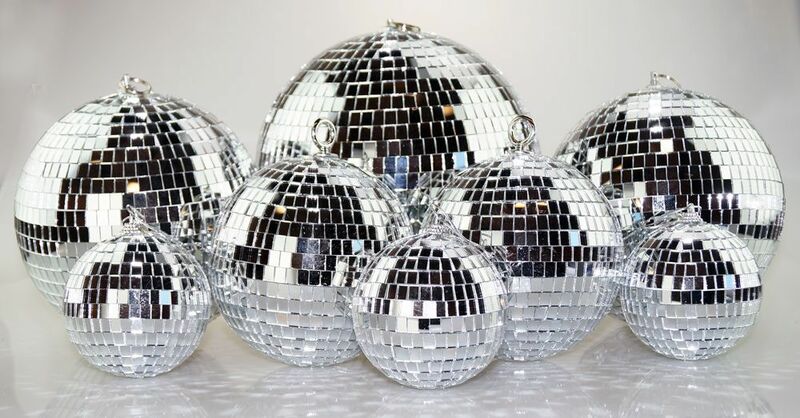 Premium disco ball party pack comes with 8 disco balls to complete your party. Disco balls mirrors are made of glass. This party pack comes with One 10", two 8", two 6", and three 4" disco balls.